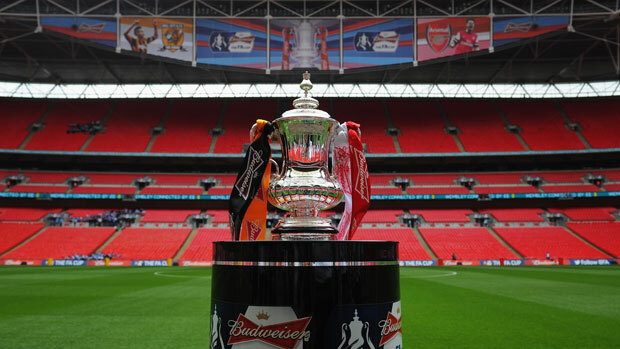 Arsene Wenger leads his Arsenal team to Wembley this weekend in a battle to win the FA Cup for the second time in a row which will also make him the first manager to win six FA Cups since the war finished. They take on opponents Aston Villa who are transitioning into an improved form under new manager Tim Sherwood, who has a tremendous task ahead of him at the club. Both managers with something to prove and both teams looking to win. Arsenal narrowly escaped a Champion’s League play-off by securing third place in the league and after a mixed season they will be wanting to finish on a high by retaining the FA Cup. They once again go into the game as favourites and what might be considered an easier opponent than most, Villa are not to be underestimated. As fans look forward to seeing Arsenal play this weekend we have remembered how hard the team fought to get there. The run up to this particular final was not as tough as the one last year but beating Man United was important and Reading really gave the Gunners a tough game in the semi-final. Arsenal will need to be more prepared than they were for that game. To win Wenger will have to have his best men on the pitch playing his best tactics and motivated to win and with only one injury in the form of Danny Welbeck he has plenty to choose from. Speaking in his press conference ahead of the game Wenger discusses the pressure on him to win the trophy and achieve six FA Cup wins. “It’s not easy. I would love to do it but I’m not honestly focused on that,” Wenger added when asked about beating George Ramsey’s record. After winning the cup last year the Arsenal fans honestly thought their would be a distinctive change within the team and inject some much needed strength and belief-it didn’t quite have that effect but a second FA Cup trophy will hopefully lead to a different story. ← Previous Story Does Walcott’s future remain at the Emirates?